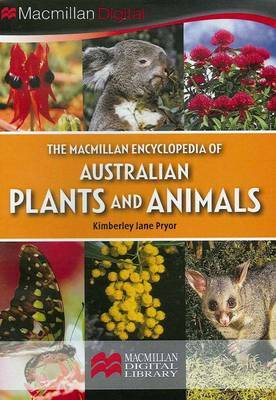 The Macmillan Encyclopedia of Australian Plants and Animals CD presents simple information in digital format on 360 common species of plants and animals. Find out where they are found, their appearance, features and life cycles. All the features you expect in an encyclopedia are provided: guide letters; entry words; cross reference links to relatives, other types, family members and 'see also' entries.